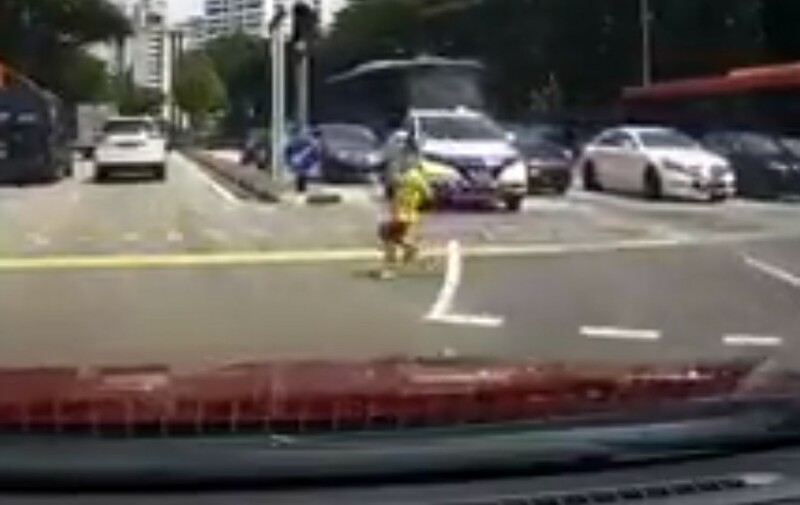 CHILD DASHES ACROSS BUSY ROAD. PARENTS NOT SEEN! You are at:Home»Caught In The Act»CHILD DASHES ACROSS BUSY ROAD. PARENTS NOT SEEN! There is a reason why the phrase “you should not be a parent” exist. There’s a saying. “Monkey sees monkey do”, there why the small boy dashed across the road. Remember that young child looked up to their parent doing more than learning from school. That’s why he doing it!!? If the driver was not alert enough, the kid will now be in the hospital or even worse.